Pay per click, also famously known as PPC, is one of the best business promotion tools in the web world. Modern day online advertising is so very incomplete without PPC advertising. It benefits your business regardless of its size. Hence, it will not be wrong to say that for any ecommerce business PPC advertising is a great choice to make. With floods of customers already choosing online shopping over retail, every ecommerce entity needs to pull their sleeves up. This post discusses the best explanations why such businesses should count on PPC advertising. But before jumping to them, let us brush up your basic knowledge about the most productive and favorite online promotion tool. What Is Understood By PPC And How Does It Work? Pay-per-click advertising is referred as the form of online advertising in which merchants pay only for the clicks by the users. Here, it does not matter how many times your ad has been displayed and how many people have seen it. In other words, how much you pay will depend on how many times it has been clicked by prospects. Your ads are visible and hence business promotion is being done, even if they are not being clicked. And the best part is, you pay only for actual clicks. AD creation- It is quite simple in comparison to others. These ads are usually smaller in size. It requires only a head line, few lines of Ad copy and in some cases, image. Keyword selection- You take control of the campaign by choosing the keywords which you think should activate your ad. For example, if your business deals in kids toys then you might go with keywords like “best harmless toys for infants” or “buy chemical free toys.” Your ad will flash on the screen as soon as users make an online search with those keywords or in proximity. Bidding- After completing the first two steps, you are supposed to decide the bid figure. You can get it at easy rates if you go with the lower volume keywords. On the other hand, if you choose to go with the most profitable keywords you end up paying more per click. It is so because these keywords are targeted by many of your competitors too. Fundamentals of demand and supply remain the same here. 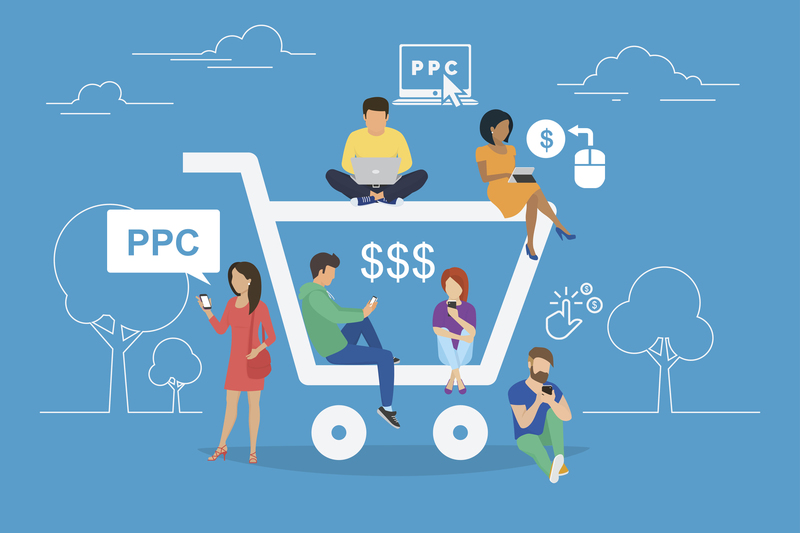 Why Experts Advocate PPC Model For Ecommerce Businesses? Compatibility- You should do it for the best sake ever. It is so well suited to the ecommerce business model. Ecommerce business model is data driven and so is our fantastic advertising model. Tracking down the advertising campaign right till the end is possible. Moreover, process of optimizing a PPC campaign is quite similar to process of optimizing an ecommerce store for conversions. And thus, it makes the ecommerce merchants quite comfortable with it. Open Budget- You spearhead your business over internet, there is no reason why you cannot lead the PPC campaign for it. You have the liberty to decide your budget for the same. For beginners, it comes as a great sigh of relief that they do not have to break the bank for running this campaign. It can be as small or as large as you want it to be. Reaping benefits of PPC with a small budget is very much possible. It is quite unlike traditional advertising models which compel merchants to make full or large payments, even before seeing the results. On the contrary, PPC asks for the payment only after you see the result. Niche Ads- You can target and advertise at the niche level with PPC advertising. Businesses can strategize to market some of their particular product line. For example, a cloth merchant can target specified group of customers by running a series of ads for new line of sweaters. Select the keywords intelligently by focusing on the best features of your product line and let those keywords be in the heart of the campaign. In simple words, your ads will appear before the people who you know are looking for the products you are selling. PPC is hence, precise to the greatest extent possible. PPC gives you the endless opportunities to target right people at right time. So, what are you waiting for? Indulge in search for the best team which can cater your business the best.